All The Chic Cake Boutique bespoke wedding cakes and celebration cakes are subject to the following Terms and Conditions. Cake Design and Consultation: All our cakes are made to order. You can browse our portfolio or we can design something unique for you. We offer no-obligation design consultations for all cakes. Any cake ordered from a picture or photo of a cake produced elsewhere can only be reproduced by us as our interpretation of the cake and will not be a replica. Please be aware that copyright also protects some designs and, therefore, cannot be copied. Tastings: We also provide cake tastings. At the time of booking your consultation, please mention if there are any flavours you would like to sample. There is a charge for Cake Tasting which is added to the order if you go ahead with us and place an order above 395 Euro. Serving sizes: Our standard cake serving sizes are 1″x2″x4″ high. Cake serving sizes are estimated. Speciality cakes, carved cakes and method of slicing may affect the total serving number. Customer understands and accepts these terms, and must order their products accordingly after having considered these variables. We provide cake cutting guides (except carved cakes) with all our orders for you to follow to get the ordered servings. Orders: One-month notice for celebration cakes, secured with deposits. A three-month notice is needed for wedding cakes, secured with deposits. Sometimes we might be able to accommodate a cake at shorter notice depending on our schedule and the design of your cake and the availability of the date, so please contact us to discuss. Decorating other peoples cakes: The Chic Cake Boutique will not provide a wedding cake when sheet cakes, cupcakes, groom’s cakes, cheesecakes or cake pops are provided by any other baker without our permission. We have a reputation to maintain, and it would be unfair for your guests to assume another baker’s cake was our cake. The cake provided by The Chic Cake Boutique will be removed from the venue if another cake as stated above is served at your event. We do not decorate other people’s work, (if a cake is provided by your granny, mother or aunt we are unable to ice and decorate it as a tier for your wedding cake). Viewing you cake: Please note cakes not be completed until the day prior to/or the day of the celebration, so for this reason viewing or progress photographs will not be available to the client. Allergen Information. All cakes on my menu contain wheat, eggs and dairy. Please be aware that while your cake may not be made with products which may cause allergens, it will have been prepared in a kitchen where these products may be used in other cakes and fillings, The Chic Cake Boutique does NOT specialise in allergen-free cakes and cannot provide a complete “free from” environment because of the variety of ingredients we use in the different selection of cakes we produce. It is your responsibility to inform your guests of this allergy information. We shall not be held liable for any allergic reaction resulting from consumption of the cake. See list of Allergens below. From the 13 December 2014, all cakes supplied by The Chic Cake Boutique will be labelled in accordance with EU Regulations 1169/2011 on the Provision of Food Information to Consumers. Quality and storage of your cake: Your cake will be baked as close to your delivery/collection day as possible to ensure quality and freshness. Cakes covered with sugar paste(fondant) should be stored in a cool, dry place, preferably in the box that it was supplied in. Sugar paste (Fondant) should not be refrigerated. We suggest that cakes should be eaten on day of delivery/collection. My Business advises that all food must be consumed on day of delivery/collection. Any food consumed after this guideline is at the client’s discretion and becomes their responsibility. Once food has been delivered, the responsibility of consumption lies with the customer and, therefore, indemnifies my business of all liability for personal use. Set Up: We are happy to set up your cake at you chosen venue, any props, decorations or fresh flowers needs to be left at the table where the cake is to be displayed. While we try to ensure that your cake is presented looking it’s very best, the stability or levelness of the table upon which the cake is displayed or the quality of the surrounding around the cake is not in our control. Please ensure, the ‘cake presentation table’ is stable, level and sturdy enough to hold the cake. A large six tier rich fruit wedding cake can weigh up to 7Kg. Please also remember that chocolate covered cakes can melt under extreme conditions as are found within a marquee on a hot Summers day. If the cake is to be set up by the venue staff, we will leave instructions on how the cake is to be displayed and obtain a signature to verify that I have done so. Once the cake is delivered or collected, set-up, and signed for we are not responsible for any interference or damage to the cake. Cake Pickups: Should you choose to collect your cake(s), Prior arrangement is required to collect all orders within a time slot mentioned in your order form. A signature is needed for cake collection, confirming that you have received your order in good condition and as specified. The Chic Cake Boutique shall not accept liability for any damage incurred once the cake leaves The Chic Cake Boutique premises. A lot of cakes are too large or irregular to fit into a cake box so extra care is needed to protect them against damage and contamination. Once the cake(s) has left The Chic Cake premises it is no longer the responsibility of The Chic Cake Boutique. Rentals (where applicable): Additional items (faux cakes, Displays, cake stands, and other rental items must be returned within 48 hours of the event date stated on invoice. The deposit is refundable provided the rental item(s) is/are returned in the same exact condition within 48 hours of the delivery date. After 48 hours, the deposit will be fortified. Sugar flowers/ Decorations on cakes: Although the Chic Cake Boutique uses edible materials to make flowers and Some decorations that are placed on your cake, these are not meant for consumption as flowers and figurines may contain wires and Styrofoam buds, other decorations, such as ribbons, brooches and any edible glitters that are not recommended for consumption as are not very palatable. On delivery, we will make the recipient aware of any non-edible items that must be removed before the cake is sliced and served. The Chic Cake Boutique recommends that all these items are removed from the cake before cutting and serving it and shall not be held responsible if the correct procedure for removing these items is not followed. Fresh flowers: All arrangements for flowers must be supplied by your florist and flowers must be ready for placement on cakes as close to cake delivery as possible, we will not be responsible if flowers are late, and we cannot place them on the cakes. It is the customer’s responsibility to check with their florist to see which flowers can and cannot touch the icing or cake that individuals will consume. The Chic Cake bout the flowers onto the cakes we cannot be held responsible for the outcome of those particular cakes. By signing this document. By signing this document, you understand that The Chic Cake Boutique cannot be held responsible for any cake where fresh flowers have been added as, you acknowledge that fresh flowers are not a food product, and may contain pesticides, insects, dirt and or other contaminants. FRESH FLOWERS MUST BE REMOVED BEFORE CAKE IS SERVE. By signing this document, you acknowledge that fresh flowers are not a food product, and may contain pesticides, insects, dirt and or other contaminants. Weather: Heat and humidity can adversely affect your cake. In warmer months, it is advised the cake to be kept in an air conditioned area or, at the very least, a cool area. (Refrigeration is not recommended for fondant cakes). It is strongly suggested that cakes being collected by the customer be transported in an air-conditioned vehicle. You understand that I am in no way responsible for any damage that may occur due to weather conditions. Outdoor events: The Chic Cake Boutique is not responsible for any weather damage after delivery and cake set up. Below is a list of certain guidelines to avoid adverse effects of various weather conditions. Heat: Buttercream cakes, naked and semi naked cakes can melt and therefore are not recommended for indoor or outdoor events where temperatures may exceed 20°C. Humidity: Fondant/ gumpaste can melt and bubble in very humid weather. Wind: Can knock over and damage items, it can also blow debris or bugs onto your cake. Coloured Icings: The exact colour pink, blue, purple, black or any deep dark colours cannot be guaranteed as they are unstable, and could fade and/or bleed into surrounding colours when exposed to different conditions, sunlight, heat, humidity, moisture etc. Buttercream cakes: Naked and semi naked cakes: can melt and therefore are not recommended for indoor or outdoor events where temperatures may exceed 20°c. Delivery: Delivery should be arranged at the time of ordering or as soon as possible afterwards. Delivery on all orders is 0.50c per kilometre(round trip). Distances are calculated using Google maps. It is your responsibility to ensure that you have provided correct delivery information and to ensure that the venue is open and available at the arranged time. At the venue, should we have to wait to gain entry, you will be billed for the time at a rate of £15 per hour. If no-one is available to receive the cake at the agreed delivery time, your order will be returned to my business and we will contact you to arrange an alternative delivery time; for which a charge will be payable. My company accepts no responsibility for any loss or consequential loss incurred by the customer as a result. Release of liability: The Chic Cake Boutique will make every possible effort to create and safely deliver your cake. Once delivery and set up is complete, The Chic Cake Boutique will not assume any responsibility for your guests, hotel staff, catering staff, photographer or any persons act with regard to your cake, or any property damage, injury that occurs as a results of our services and/or provisions of your cake. The Chic Cake Boutique shall have no responsibility for the condition of the cake once delivered to you, collected by you or delivered to your wedding venue. High temperatures or damp cold areas can affect your cake; it is your responsibility to arrange with the venue an appropriate spot for the cake, away from direct sunlight, unnecessary heat and not in a damp room. Deposits: All deposits become due to once you have placed, checked and confirmed the details of your order. We will hold your date no later than one week after booking. After this time, your date is not guaranteed and will still be available to other customers. We will not treat your order as accepted until your deposit has been received. All celebration cake orders require a non-refundable deposit of 50%. Short notice orders that are placed within seven days of the collection date are an exception to this and must be paid in full on ordering. For wedding cakes, a non-refundable deposit of 50% is required to secure your order. Short notice orders placed within one month of the wedding date are the exception to this; they should be paid in full at the time of ordering. Please note that all deposits are NON-REFUNDABLE and NON-TRANSFERABLE. If you cancel your order deposits paid are strictly NON-REFUNDABLE. In the unlikely event that we need to cancel your order, any deposits paid will be FULLY REFUNDED. Reasons we may need to cancel – death, injury, illness (due to health and safety regulations), severe medical conditions or an accident of myself or any immediate family member. 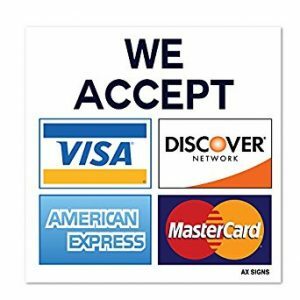 By paying this deposit you agree with all Terms and Conditions. For celebration cakes, the balance can be paid in cash on delivery/collection. If you wish to pay the balance by cheque, PayPal or direct transfer, this must be paid seven days before delivery/collection. Final payment for your wedding cake is required no later than four weeks before your collection/delivery date. We will not release your cake to you until payment has been received in full. We accept no responsibility for any loss howsoever caused for non-delivery under these circumstances. Cake Design alterations: Your cake is important to us so; please take the time to check the details of your quote/order carefully. It is your responsibility to contact us of any changes required to your original order. We will try and accommodate any changes where possible. We cannot guarantee to do so and reserve the right to increase the price quoted for any extra work required. Any changes made to your original design are subject to a change in the quoted price. Included are supplies that may no longer be needed but have already been purchased. Please note we are unable to make any changes within seven days of the delivery/collection date for celebration cakes or within four weeks of the wedding date. Changes: If, for any reason you need to re-arrange your occasion date, we will try our best to accommodate these changes at no additional charges; provided sufficient notice is given and that we can offer a cake for the re-arranged occasion date. We will do our best to accommodate your order but CANNOT GUARANTEE to be able to do so. If we are already fully booked for your new occasion date and unable to provide the cake, it would not be possible to refund your deposit. Please bear this in mind when ordering, as any monies paid are non-refundable and non-transferable. We highly suggest that you take out wedding insurance to cover all eventualities. Artistic License: Each cake and decorative finishes are hand made with the finest ingredients by The Chic Cake Boutique. You may bring/send Photographs of designs you like, however this is subject to interpretation as I cannot create an exact duplicate of work done by other decorators, as that would violate creative copyrights. Cancellation Policy: Orders can be cancelled up to one month prior to the occasion; booking deposits are non-refundable. Orders cancelled after one month must be paid in full. In the event that something occurs that effects your scheduled occasion date please feel free to contact us to discuss other options. 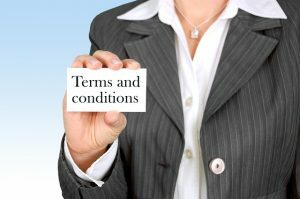 Exemption: Where damage does occur at the irrefutable fault of my business, a partial or full refund may be given, this will be determined on an individual basis. Proof must be provided immediately, either in person or by way of pictorial evidence. The customer is made aware that specific designs (e.g., topsy-turvy) are more structurally sensitive than others; improper handling can lead to damage. Assuming all precautions have been taken by us, to provide you with a sound structural support; we accept no liability for any damage that may occur once the cake is in the customer’s possession. Use of Photographs: The Chic Cake Boutique reserves the right to photographs of your cake for our own reference, display or promotional advertising without compensation to you. In the event we receive a photograph from you or your photographer, we reserve the right to use it for our own reference, display or promotional advertising without compensation to you. Photographs will be credited to the photographer according to agreement between The Chic Cake Boutique and the said photographer. Awards: From time to time The Chic Cake Boutique may be nominated for awards, you as a customer (recent or current) may be contacted and asked about your experience with The Chic Cake Boutique. 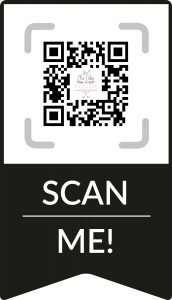 Personal data we collect: As we are providing a service to you we will need certain information, this will include, your name, address, email, phone number and other relevant information about the event or occasion you need the cake for. We do not disclose any of your personally identifiable information to outside parties. This does not include trusted third parties (the other suppliers you have chosen to hire for your event), so long as those parties agree to keep this information confidential. We may also release your information when we believe release is appropriate to comply with the law, enforce our site policies, or protect ours or others rights, property, or safety.